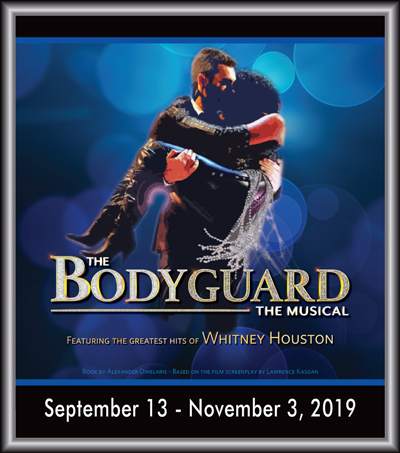 Based on the Warner Brothers film starring Whitney Houston and Kevin Costner, The Bodyguard features a score filled with Ms. Houston’s greatest hits including: “I Will Always Love You,” “I’m Every Woman,” “Saving All My Love,” “How Will I Know,” “I Wanna Dance With Somebody,” “So Emotional,” “One Moment in Time”…the list of hit songs goes on and on! Former Secret Service agent Frank Farmer is hired to protect superstar Rachel Marron from an unknown stalker. Each expects to be in charge – what they don’t expect is to fall in love.